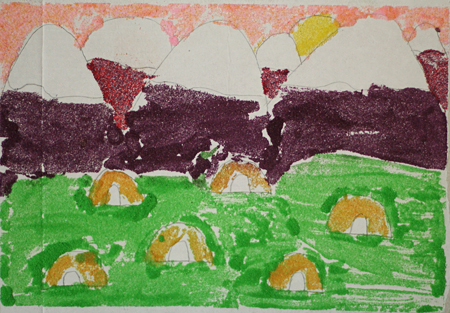 We recently read a little about Navajo sand painting in a book from the library – such amazing and intricate art. 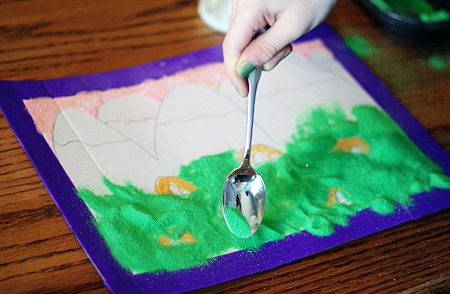 We had a stash of colored sand waiting for a project, so we decided to try our hand at some simple colored sand art. We used the colored craft sand from Discount School Supply, which we had left-over from making layered sand jars at a birthday party. 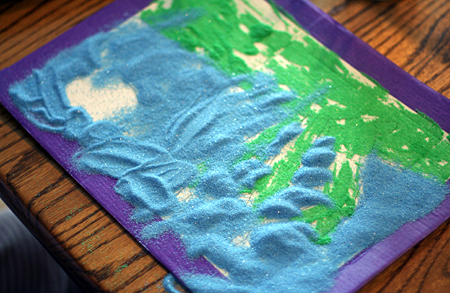 If you don’t want to invest in colored sand, try the tutorial for colored salt at flax & twine. 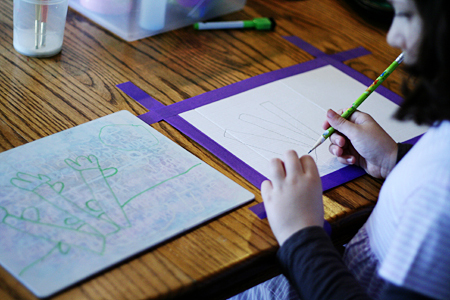 We started by planning our drawings on a dry erase board, then copying it onto our cardboard base. I taped the edges of the cardboard so we would have a white frame on the finished art. The younger the child, the simpler the design should be. 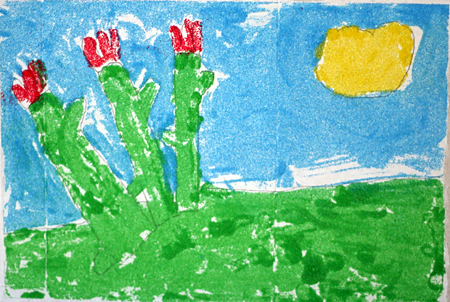 Decide on a color of sand to start with and use a paint brush to apply glue to all the parts of the drawing that will be your first color. Apply a generous amount of sand to the glued areas, then dump off the extra into a container or trash can. We used a dish tub, and saved the multicolored extra sand for other projects. 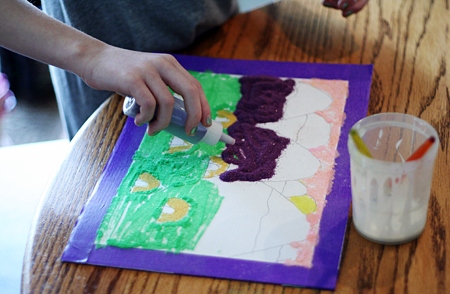 Continue applying glue and colors one at a time, dumping off the extra sand each time. 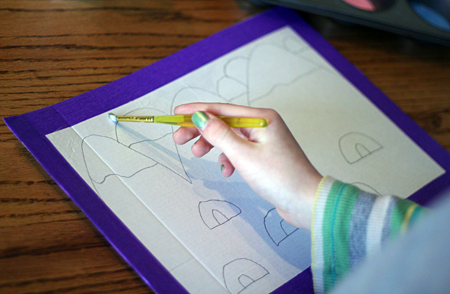 If you are covering a large area, do it in sections so your glue doesn’t dry. We used a spoon for the larger areas, but the girls liked the bottle method for smaller details. 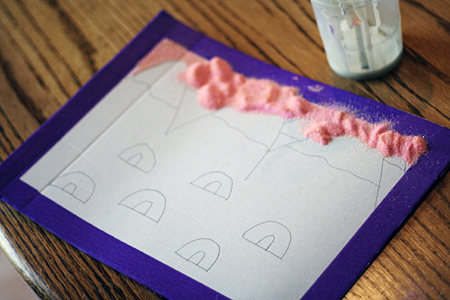 Here are the finished projects – not too bad for our first try at sand art. The girls loved this project (and we still have oodles of sand), so I think we’ll be playing with colored sand art again very soon! Have you tried any new art techniques or materials lately? What’s the go-to crafting supply in your house right now?